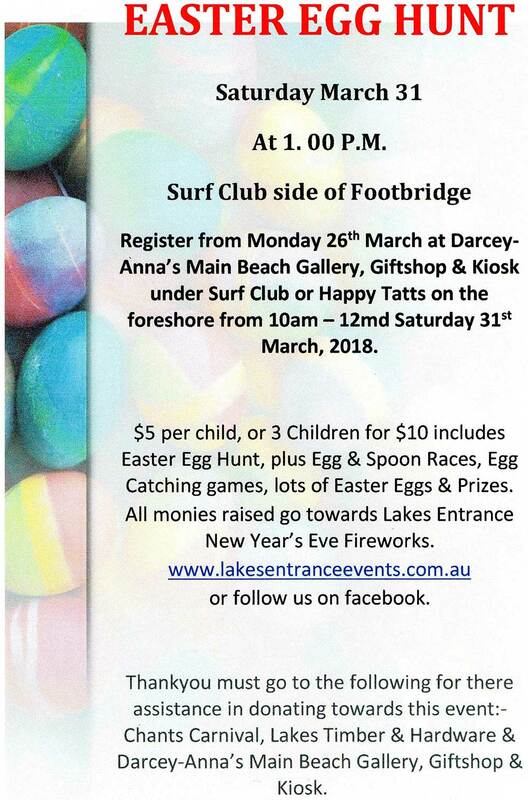 Register from Monday, March 26 at Darcey-Anna’s Main Beach Kiosk at the Surf Club or Happy Tatts tent on the foreshore from Saturday 31st, from 10am. 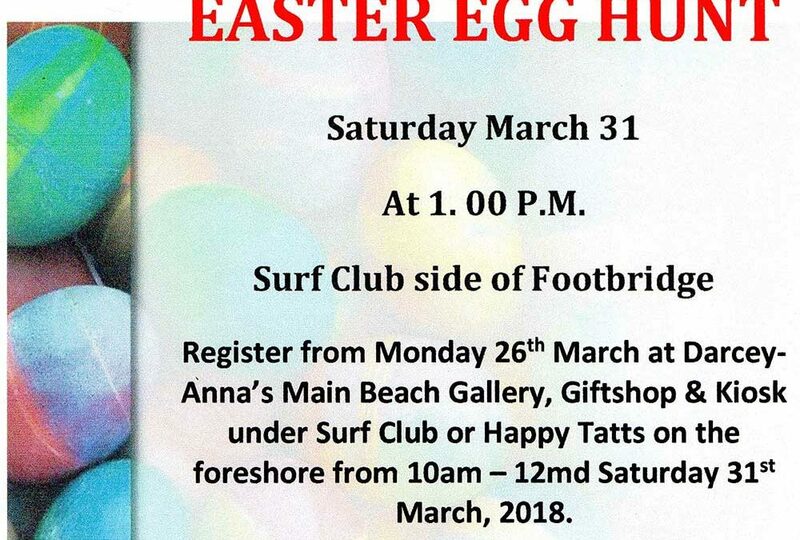 Entry is $5 per child, or 3 children for $10 and includes the Easter Egg Hunt, plus Egg and Spoon Races, Egg Catching games and lots of Easter Eggs and Prizes. All monies raised go to the Lakes Entrance New Year’s Eve Fireworks. Visit their website www.lakesentranceevents.com.au or follow them on Facebook. DOWNLOAD the poster for your visitors by clicking this link: POSTER.